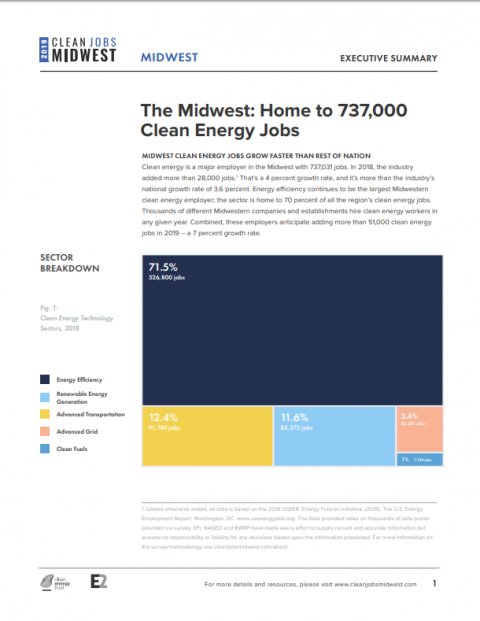 Clean Jobs Midwest (CJM) is a survey of clean energy employment in 12 Midwestern states – Illinois, Indiana, Iowa, Kansas, Michigan, Minnesota, Missouri, Nebraska, North Dakota, Ohio, South Dakota, and Wisconsin. 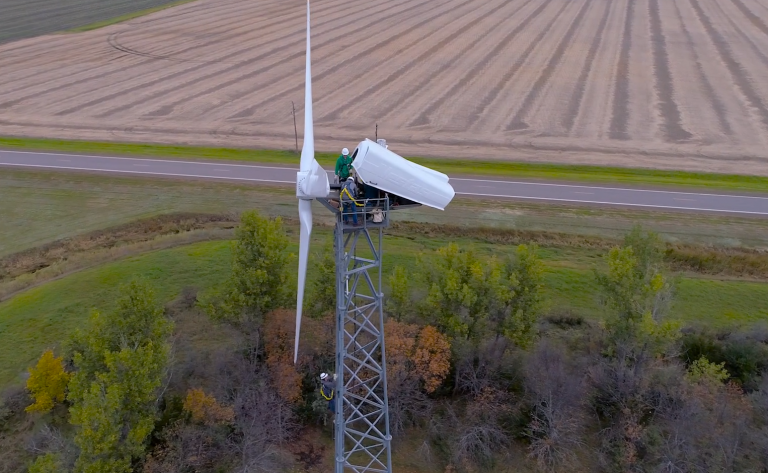 The region employs 714,257 workers in sectors including renewable energy generation, advanced grid, energy efficiency, clean fuels, and advanced transportation. 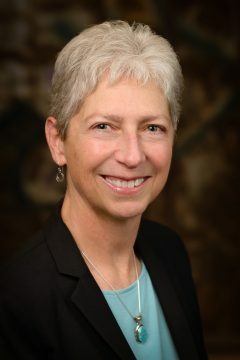 Clean Energy Trust (CET) partnered with Environmental Entrepreneurs (E2) and BW Research to facilitate this comprehensive survey of clean jobs throughout the Midwest.